When a new client and I decide to do business together, I like to have a dialogue I call “Investing 101”. This is a very general overview of the different asset classes offered through capital markets and helps to ensure we’re on the same page when we begin discussions about the appropriate structure of the client’s portfolio. When you’re investing liquid assets in markets there are three basic types of assets to invest in: cash, fixed income and equities. Cash investment funds are typically used for things like providing monthly income or emergency savings. 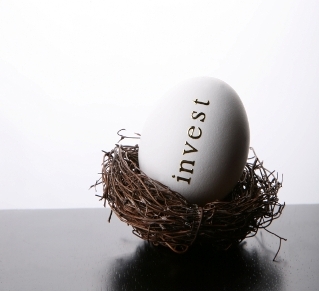 If you invest in products like GICs, annuities or high-interest savings accounts, your funds are typically guaranteed. Money Market Mutual Funds would also fall into this category, but while these funds add stability to your portfolio, the unit price isn’t guaranteed. When we think of fixed income investments we think mainly of bond investment funds. Bonds are issued by governments and corporations to raise capital for expenses. Essentially, you agree to lend your money to the issuer for a certain period of time, and in exchange, they agree to pay you interest for the term of the loan. The issuer guarantees to return your money at the end of the term and also guarantees the amount of interest you will receive each year. Bonds are a very good way to add stability to a portfolio; however, it’s important to remember that bond prices are affected by interest rate changes. As rates increase, bond prices decrease and vice versa. To demonstrate, let’s explore an example: A ten-year bond that has a four per cent interest rate. If rates increase to five per cent, then the issuer will be forced to offer new bonds at the new interest rate. The demand for the bond will go down, and therefore, the price in the marketplace will drop. The bond’s stability comes from the interest the issuer continues to pay as long as I hold the bond and from the guaranteed value of the bond at the end of the ten years. Bond holders also own creditors’ rights to the company, which are superior to the rights of stock holders should the company go bankrupt and the assets sold. Equity investments are generally comprised of common stock offered by a publicly traded company. This stock represents your share of ownership, a share of the company’s potential profits, through the payment of dividends and/or through an increase in the value of the share of the ownership. There are no guarantees, however, that a dividend will be paid or that the share price will rise. In the event of a liquidation of the company, common shareholders typically only receive payment after bondholder and ‘preferred’ shareholder claims are satisfied. Within each of these strategies there are almost limitless variations. Invest solely in Canadian investment funds, or explore international opportunities like the United States or emerging markets. Stick to funds which invest in value companies (those with longer, more stable track records), or potentially enhance returns with funds that invest in growth companies (companies that are deemed to have above average potential but haven’t yet established a history of strong earnings growth), invest only in bond funds, or increase your portfolio’s potential with corporate funds. Whatever mixture a client and I ultimately decide on, there is one rule that helps guide us: after all the dialogue, the strategy we pick must feel right to the client. My job is to help clients feel confident in the decisions we make together. For a more general overview of investing as a whole, see our article “Investing 101”.